Everyone who follows my Insta posts would know that I’m super busy at work with the Raya madness now. Everyday it’s late nights in the warehouse and the beauty is that the team bonds so much every Ramadan, we pray together, we break fast together, we laugh and sweat and get stressed together. 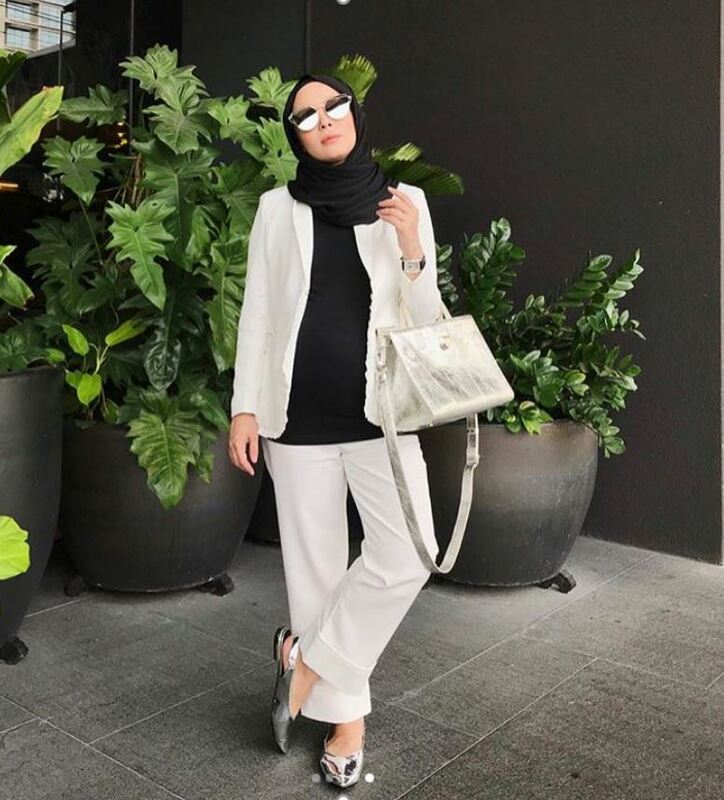 It’s a huge learning curve this year because we were doing so many things at once and we could have done few things better, so definitely this Raya period was an experience we would never forget. Amidst the stress, I managed to sneak in some time to…. BOOK OUR FAMILY HOLIDAY POST-RAYA!!!! This is Mariam’s first time traveling so I had to take her to do her passport today because it was the only morning I had free. I decided to be brave and just take her alone, no nanny or Kak Siti or moms or anyone to help me out. So one hand carrying my bag (filled with wet wipes, biscuits, her toys), slinging her security blanket around my neck, one hand holding her documents and carrying her as well because she refused to be put down and sit on the chair…. like normal people. -___-” It was an experience and I dropped things along the way, but kind souls helped me pick them up. God bless these kinds of people. Anyway, when we got to the counter to take your number, the ladies told me the morning slots are closed and I have to come back in the evening. “Nooooo… tolonglah cik. Saya rushing sangat ni tolonglah cik…” I begged them, trying to put on my charm. 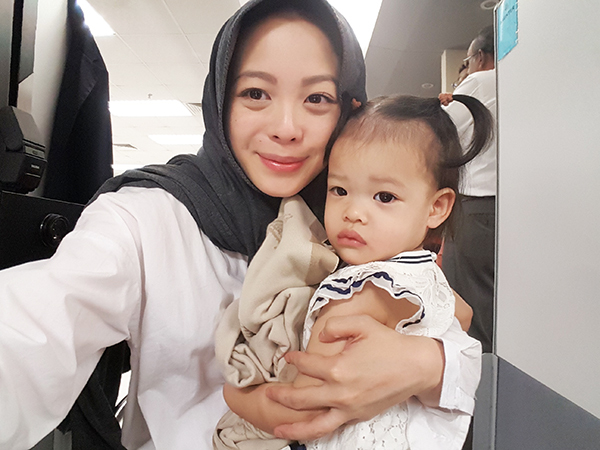 “Tolonglah cik, saya bawa baby saya nanti dia nangis. Saya datang jauh ni..,” Well, no one defined what jauh was… 2 km can be considered far too…. “Eh, awak bukan yang ada rancangan kat Astro Ria tu ke?” the lady said, calling her friend. Ahhhh crap. Was going to say I came all the way from Johor where I live. In the end, they were so kind to let me through because babies have special privileges. Did you know that?!! I’m totally bringing Mariam everywhere I go. Anyway, it was so hard to get her to take a photo. She’s feisty so she was screaming and crying, tears flowing down like river that the lady had to photoshop her tears away. Mariam, you drama queen you. She wore a really cute lace dress, but I didn’t know you couldn’t wear white so they covered the dress with a not so fashionable black cloak. Boo. She also wore Sereni & Shentel bow clips for the most important photo of her travel life, but they said cannot also. Double boo. After everything was done, I felt so proud like fuhhh I totally rocked this mom thing. Look at me, being all independent taking my baby out and holding documents and whatnot. *blows nails* This is super easy! Ok I’ll delete this post when she grows up so she won’t know I made fun of her. MARIAM IS THE CUTEST! ???????????????????????? Everything already so funny, but when the message part came, I. DIED. LAUGHING. Looooooooool. ???????? One can never have a good passport photo. It somehow will ended up looking like a mugshot. ???????????????????????? But Mariam looks cute nonetheless. BAHAHAHAHAHHAHAHAHAHAHAHAHAHAHA !!! Go Vivy go! You can do it! the last part V!!!!! must felt like you wanna #lyingflatonthefloor after all of the dramassss!!! Vivy, for her own safety. Pls delete her passport picture. You know there are cases where people forged passport using passport pictures cropped from the internet. To think you go extra mile with the dress and bows but it ended up being covered or asked to be put away! LOL! dont have to delete it, put water mark on the pic..
Hahahaha… this entry cracks me up!..mmg feels like super mom when you can do that. I once travelled to the UK during Ramadha with my 3 kids alone, age 6mo, 4yo and 7yo. Imagine that. Sampai sana, pengsan 12 jam letih. Ayah diorg ambik alih jaga.. hehehe.. But this entry make us think, single mom with no help and many children. I salute them always. May Allah ease their journey in life. Hahaha! Cant wait for her IC photo. This photo is cute already! Awww Mariam is soo cutee!! She’s starting to look more like Daniel too. May Allah ease everything for your travels Vivy. 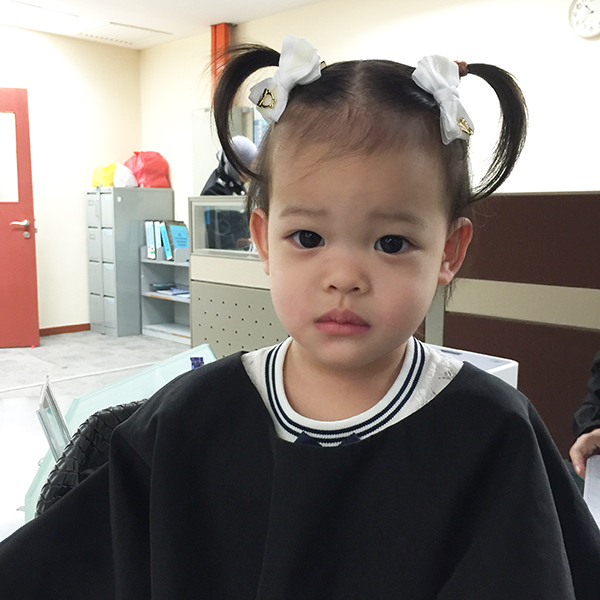 omg vivy…u made her wear pony tails in her passport pic???????? She is soo cute, and you aree soo fuannayyyy viv! 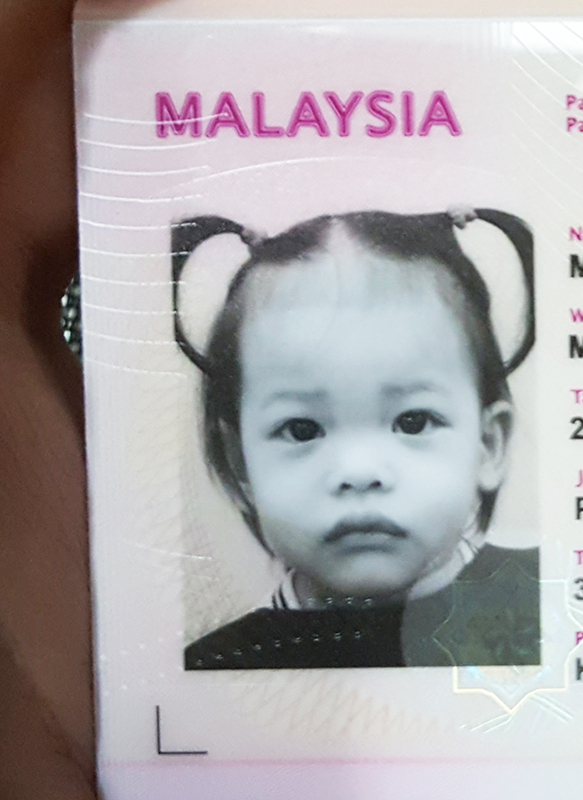 My daughter’s passport picture also bluerghhh!! 3 weeks ago, immigration officer in Madrid cannot tahan from laughing and then said “wow, she looks so different” he was seriously laughing hahahaha!! 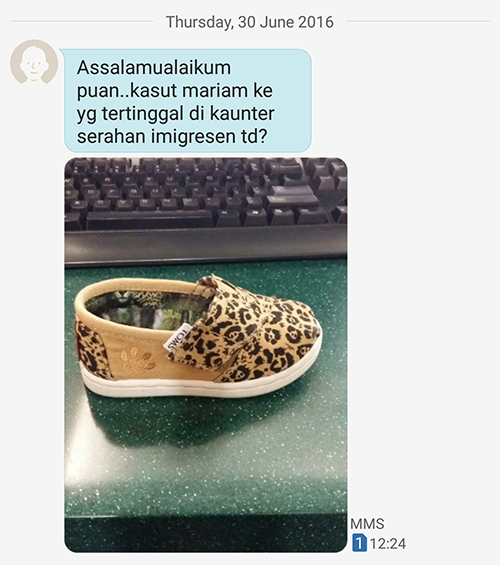 ok part kasut tu kelakar! 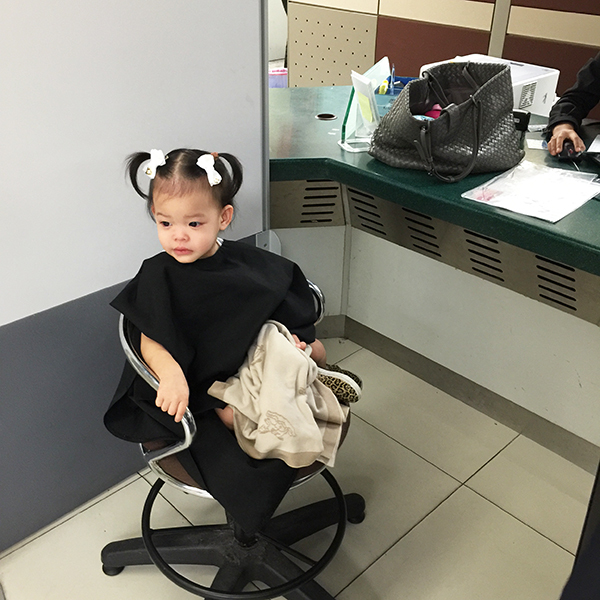 So cute mariam.. haha.. mommy2. are u sure theres special privilege for kids or is it just for kids whose mommy has a rancangan at astro ria? hehe—>agreed. hahaha. laugh to tears! 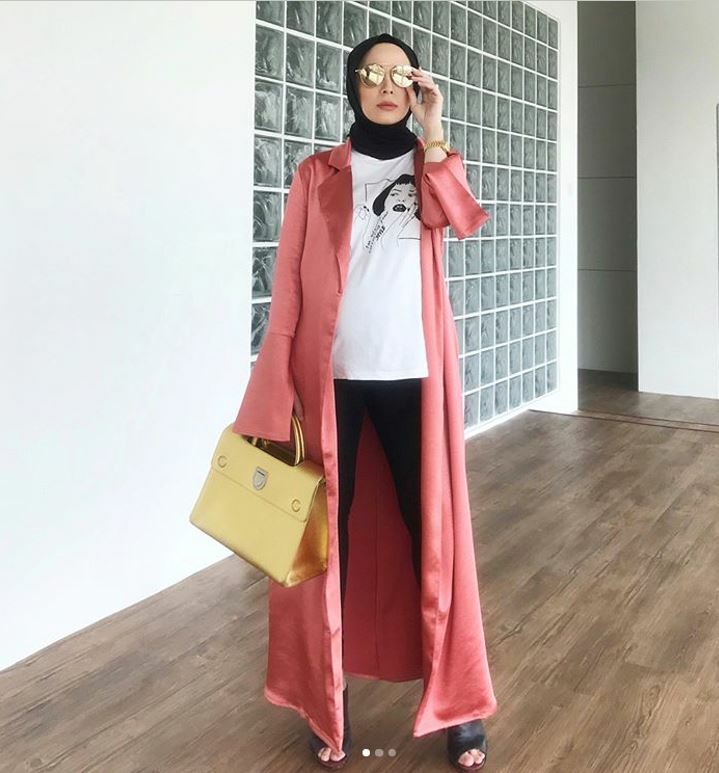 so kesian dekat Mariam .. This whole mom thing does not come easy but I am sure that you rock at it! Go Vivy!